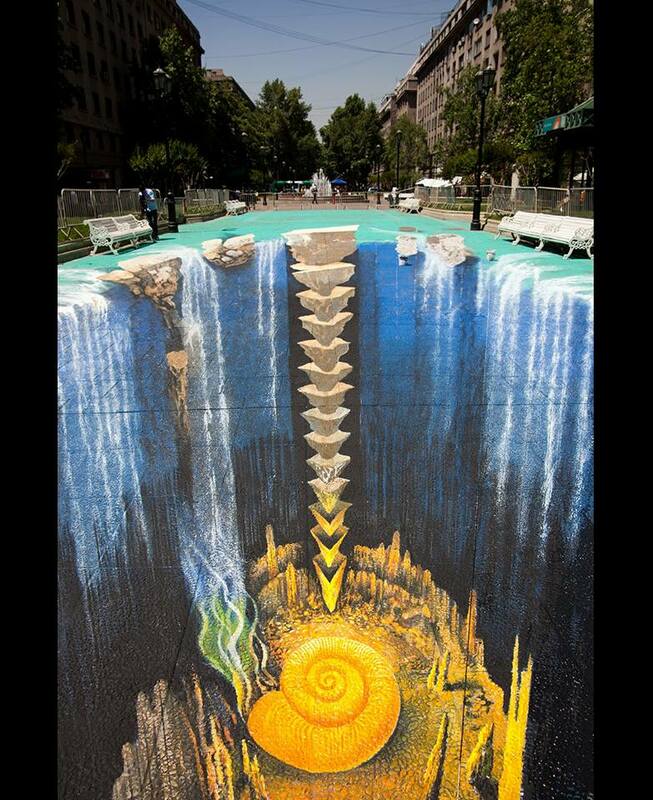 Trompe l’oeil art usually refers to an optical trick by the artist to the viewer. The artist produces an image that attempts to deceive the viewer into thinking that they see something that is not there, is impossible or changes how what is present to be viewed differently. Examples of such art has around for many centuries, from the art of Holbein to Giuseppe Arcimboldo to Dali and others in contemporary and more recent times. 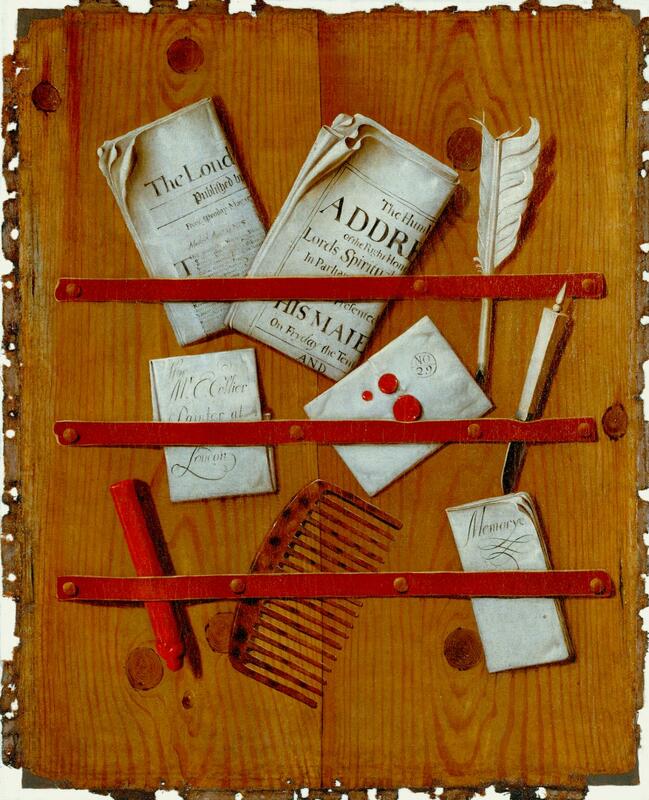 In the example shown alongside by Collier, the painting fools the viewer into believing that the items on the memo board as graspable. The are painted in such a way to not just be believable renditions of the objects but as a whole to look like there is no painting but a collection of objects. Another form of Trompe l’oeil art is: Anamorphosis. 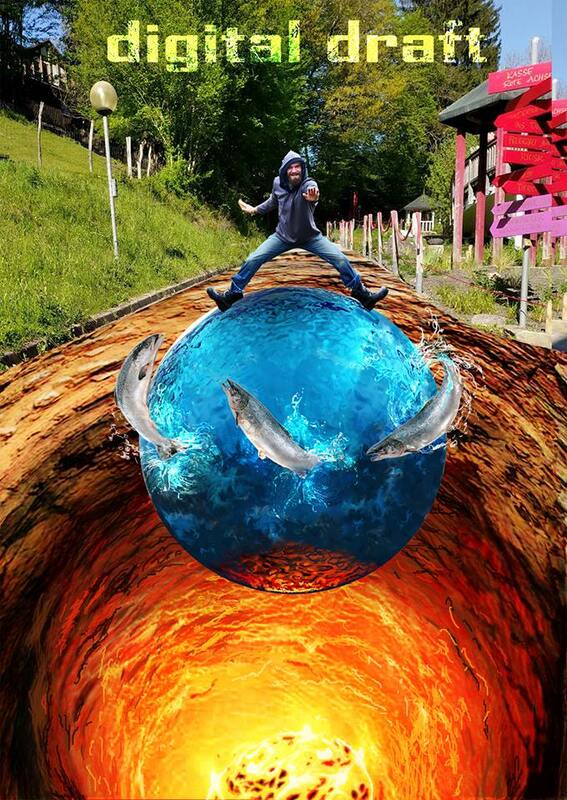 In these images the artist fools the viewer that the object is real. In these images the image is not always readily apparent on first viewing and must usually employ some means to reveal the image or its true nature. In the 16 to 18 centuries this was a popular form of painting and often had a shaped mirror such as a cylinder to reveal the artworks truth! One of the most famous examples is housed at the National Gallery in London. 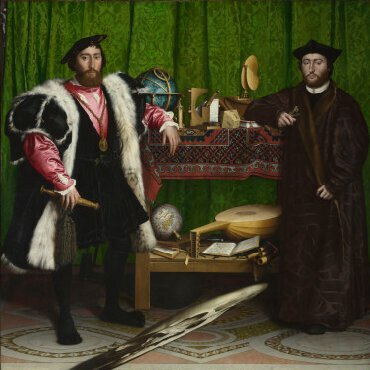 The Ambassadors by Hans Holbein the Younger shows two ambassadors to the court of Henry VIII, in the lower part of the painting there is a strange distorted image which is seemingly incomprehensible. 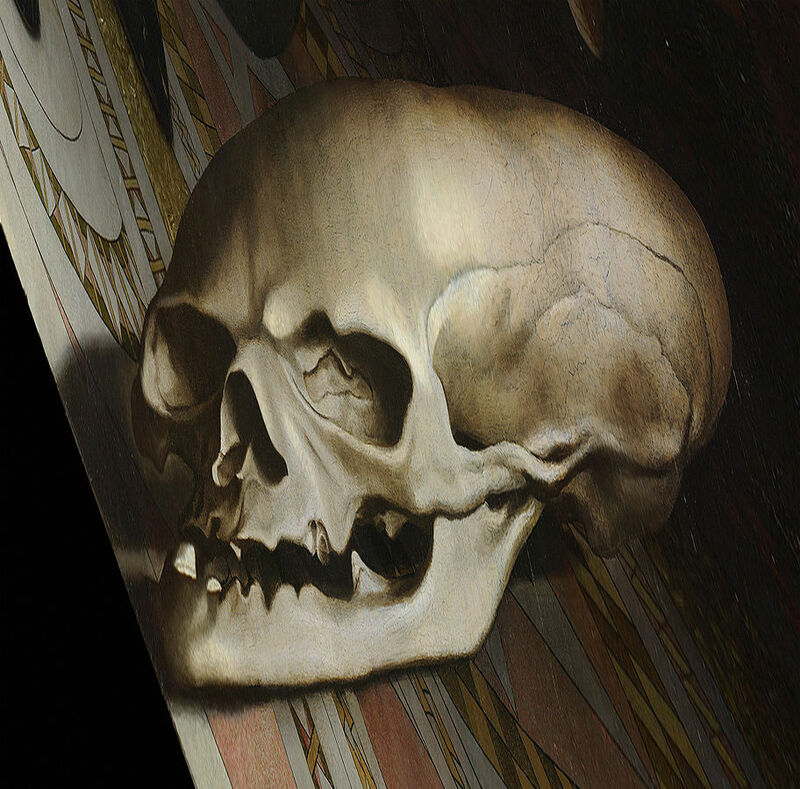 However, when viewed from the lower left side of the painting the strange depiction is revealed – a skull. In contemporary times the Hungarian artist, István Orosz , draws images that reveal a second hidden image using accessories such as a mirrored cylinder. 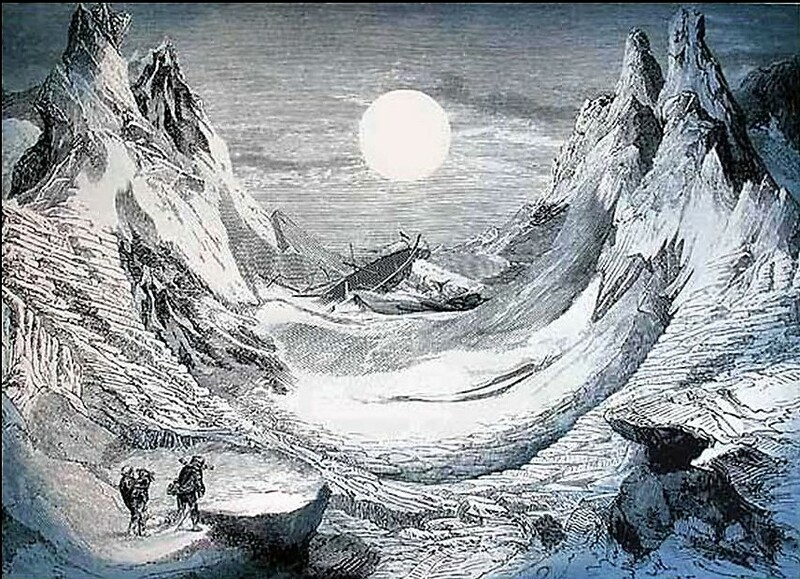 In the image shown a frozen landscape featuring some explorers, a barren landscape and a shipwreck under a moonlit sky. 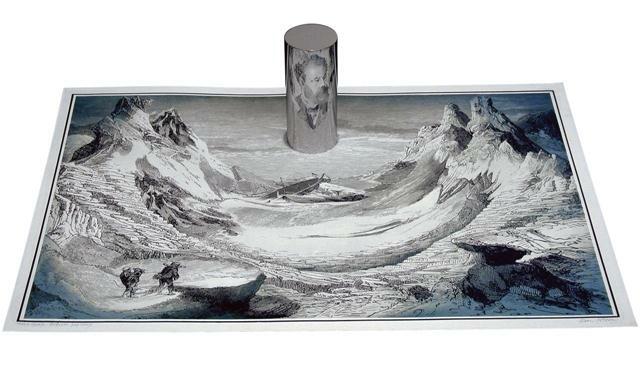 When a mirrored cylinder is placed on the moon a portrait of the author Jules Verne is revealed in the reflection. 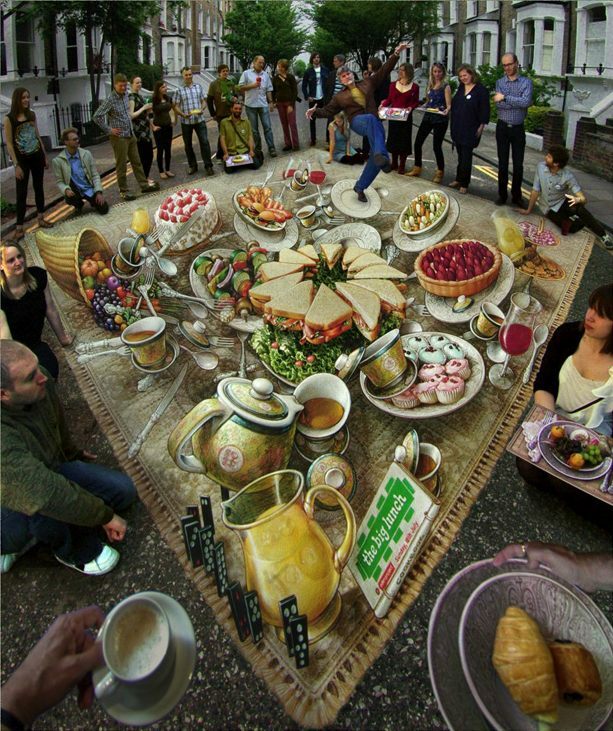 Today, anamorphic art has a particular use in road and football pitch markings. 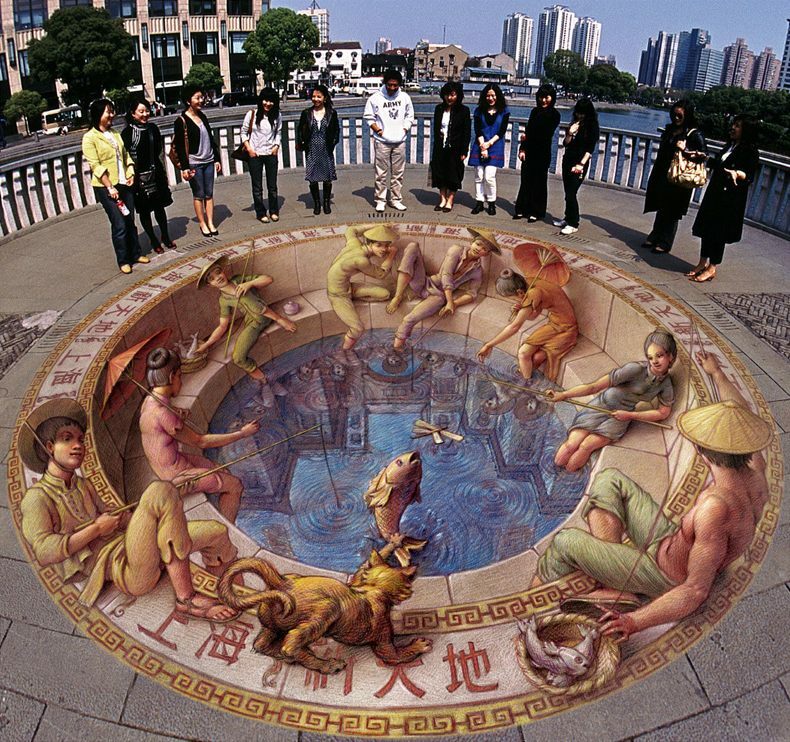 Additionally, street artists such as Edgar Mueller and Kurt Wenner design and draw on the pavement or street large anamorphic images. Examples are shown below. Seckel, A. (2007). Masters of deception. : Escher, Dali and artists of optical illusion”, New York, Sterling Publishing.